Nicholas d’Orlando and the J3 Competition team will make their way to beautiful Sonoma California this week to the Simraceway Performance Karting Center for the 2016 Sofina Foods Rotax MAX Challenge United States Grand Nationals Presented by Fikse Wheels marking the 17th year of this race. 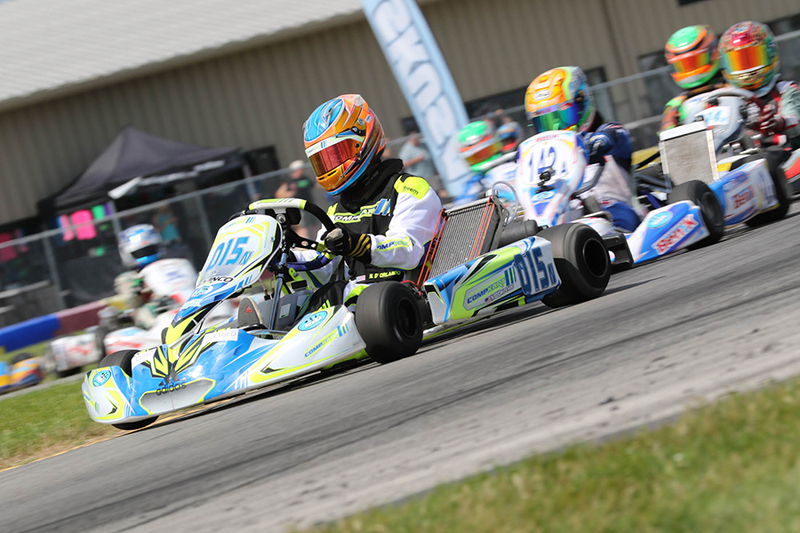 The Hartsdale, NY native will be looking to add another Rotax MAX Challenge US Grand National Championship title to his resume, in addition to the 2015 Championship title in Mini Max, as he continues a strong Junior Rotax rookie campaign. A win here also comes with a ticket to the 2016 Rotax MAX Challenge Grand Finals and a spot on Team USA in Sarno, Italy in October, where Nicholas would love to join older brother Michael, already a Team USA member. Nicholas and the J3 Competition team are coming off a tough race in New Castle, IN at the 2016 SKUSA Pro Tour SummerNationals. As they fought a tough battle through the extreme heat and humid conditions as well as a tough group of 40 competitors in the Pure Karting X30 Junior category, Nicholas brought home his No. 015n COMPKART to a 15th and 16th place finish in the finals. Although it was not the results Nicholas and the J3 Competition team were looking for, they battled hard all race weekend. They will come into Sonoma, CA very hungry and looking for a win. Nicholas knows the competition here will be very tough as he will compete against the best Juniors in the country, including older brother Michael d’Orlando, who will be competing with PSL Karting Birel ART Racing Team, putting them on separate teams for the first time in their 8 year racing career. The event, taking place August 3-6, 2016, will mark the 17th annual Rotax MAX Challenge United States Grand National Championship event and will crown our country’s National Champions in all seven Rotax MAX categories. In addition, this event will award several tickets to the 2016 Rotax MAX Challenge Grand Finals, where drivers will compete against the top Rotax racers from around the world on Team USA. Go to www.gorotax.com for information on live race coverage go to http://maxspeedentertainment.com/mse-live/. For more information on Nicholas d’Orlando, please visit www.dorlandoracing.com. Be sure to follow Nicholas on Facebook (Nicholas d’Orlando Racing), Twitter (@dorlandoracing) and Instagram (@dorlandoracing) to stay up to date on news, information, photos and results.